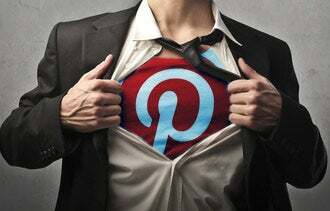 In her book Pinfluence: The Complete Guide to Marketing Your Business with Pinterest, author Beth Hayden gives step-by-step advice on using Pinterest to engage and connect with current and potential customers. In this edited excerpt, Hayden explains how to create a Pinterest marketing strategy. If you don't think about strategy before you dive into Pinterest marketing, your pinning efforts are very likely to be a giant waste of time. 1. Define your ideal client. The critical first step in defining your online strategy is to identify your ideal client and create descriptive profiles of the kind of client you're trying to reach. One of the best ways to create detailed, useful profiles is to interview people. Ask some of your favorite clients as many questions as you can. How old are they? Do they have children? What specific problems do they wake up thinking about? What words do they use in describing themselves and the issues they are facing? What do they do for fun? What websites and social media tools do they use? Use the answers to create a detailed profile on each type of client you are trying to attract. Write down the profile's description, add a photo and hang it in a prominent place in your office as a reminder to everyone on your staff. You can even give each profile a nickname, like "Sally the Bride-to-Be" or "John the Coach." The more you know about the customers you're trying to reach on Pinterest, the more successful you'll be in connecting with them via your marketing efforts. 2. Know what your client wants. Your next step is to define what your ideal client wants. Your pins and boards will be much more appealing to your target audience if you focus on your ideal client while you're pinning. Think about these various buyer personas when you're deciding whether to pin an image or video. AARP, for example, is using smart Pinterest strategy. It cleverly-named boards that reach out to their target audience, like "50-Plus Technology" and "Movies for Grownups." Senior members on Pinterest know that this content is just for them, because it's personalized specifically for the needs and desires of the 50-plus crowd. And when customers know that you've taken the time to figure out what they want, they'll keep coming back for more. 3. Figure out where Pinterest fits into your overall marketing strategy. Building relationships is great -- but you want to do so in a way that helps you meet your larger objectives. Keep in mind that Pinterest is just a part of your online marketing strategy. Your goals are simple: Drive traffic back to your website, add people to your mailing list and turn those visitors into buyers. Picture your marketing strategy as the wheel of a bicycle. Your content-rich website or blog is the hub of that wheel, and social media tools like Facebook, Twitter and Pinterest are the spokes. And while they are very important spokes, they are nonetheless merely spokes. Social media tools should act as distribution and traffic-building mechanisms for your website's top-quality content. Building relationships and trust on social media is incredibly important, as well. However, if the people with whom you're building these connections never leave your Pinterest profile or Facebook page, then you are spinning your wheels. If your Pinterest efforts aren't helping bring people to your business's door, you need to change the way you are using the site. 4. Let your personality shine. Before you start pinning, you should also think about things that you are passionate about that you can use as springboards for content. The word "interest" is built right into Pinterest's brand name, so don't commit the cardinal sin of being boring when you pin. Bethany Salvon of the travel blog BeersandBeans.com lets her brand's personality shine on her Pinterest profile. Some of her boards are what you would expect from a travel blogger, but she also has collections on quirkier topics, like her "VW and Tiny Homes" board, which is dedicated to minimalist living spaces. People will remember it, pass it on via social media and connect with Salvon through this quirky content. Also remember that you can use images and videos to promote the idea behind your brand. What does your company stand for? What kind of lifestyle does it try to promote, and why does that lifestyle appeal to your ideal client? If you pin things that you feel passionate about and showcase your personality, you will create compelling content that your followers will love. Pinterest gives you the opportunity to become a valued source of information to the folks you're trying to reach. And if you view yourself as a source of information and ideas, rather than as someone hawking their wares, you will be far more successful on Pinterest than if you focus only on promoting and pinning your own products and services. Yogurt maker Chobani maintains several boards that feature recipes from many different websites and blogs. And while many of the recipes include yogurt, not all do. The yogurt company knows that their target audience, women, are always on the lookout for delicious and simple recipes. So instead of just pinning links from its website, Chobani is in the business of solving problems for followers. People want to solve their problems, and that's what they need or want your products and services for.